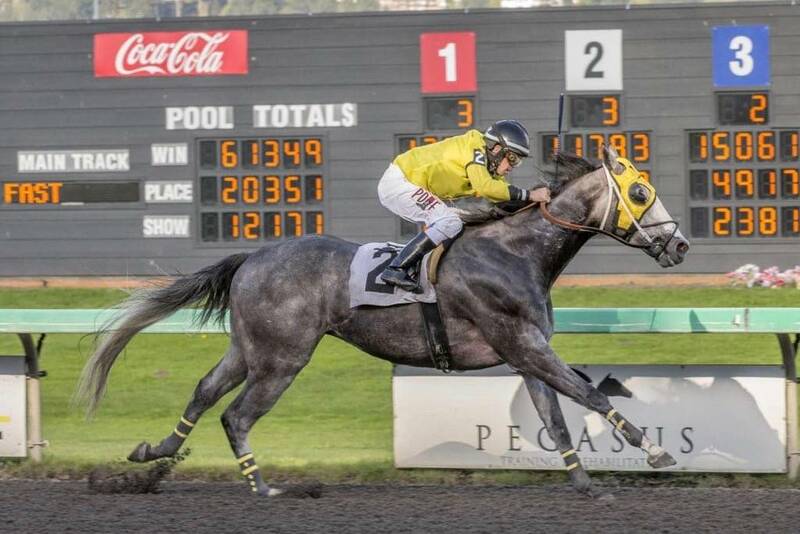 Fear No Evil took the early lead and fended off Gallon and Margo’s Gift down the stretch for a head victory Sunday in the $50,000 Auburn Stakes for 3-year-olds at Emerald Downs. Ridden by Leslie Mawing at 117 pounds, Fear No Evil ran six furlongs on a fast track in 1:09 3/5 and paid $21, $6.20 and $3. Frank Lucarelli is the trainer for owners Chris and Dianna Randall of Bellevue. Gallon closed gradually on Fear No Evil in the stretch run, but couldn’t quite get to him, and settled for second place. Juan Gutierrez rode Gallon, who returned $3 and $2.40. It was one length back to Margo’s Gift, the 6-to-5 favorite, who paid $2.10 for show. No Boundaries, Dat’s Dream and One Quick Brew completed the order of finish. Bobby Rar Rar and Easy Going Cecil were scratched, a development that changed the strategy for Fear No Evil. 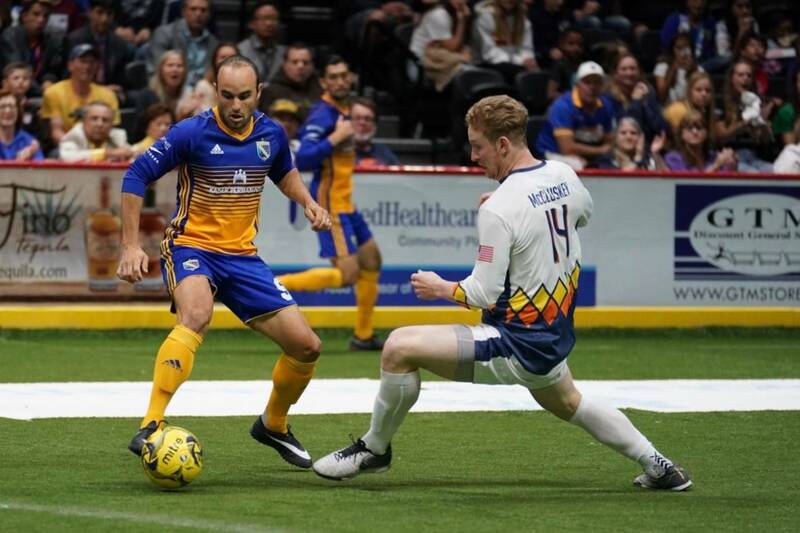 “After the scratches, we decided to go (for the lead),” said Lucarelli, who watched the race from home while recovering from knee replacement surgery. “It’s great win, a huge race. I thought it was a tough race, and those are two nice colts we beat. “But this horse had trained well all spring. I told Chris (Randall), this was a different horse.”The Auburn was the first race of the year for the top three finishers. Fear No Evil’s last start was a distant ninth behind Smarty Deb, Gallon and Margo’s Gift in the 1 1/16-mile Gottstein Futurity last September. A Kentucky-Bred by Trust N Luck, Fear No Evil has a 2-1-1 record from six starts. The $27,500 winner’s share increased his earnings to $43,873. 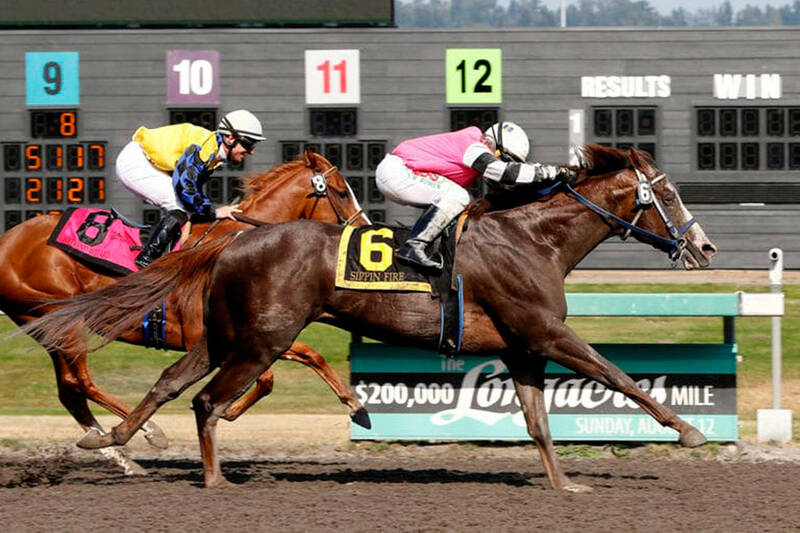 Enumclaw Girl squeezed between horses and rallied for a 2 ½-length victory Saturday in the $50,000 U.S. Bank Stakes for 3-year-old fillies. Ridden by Gallyn Mitchell, Enumclaw Girl covered six furlongs in 1:10 on a fast track and paid $39, $19.60 and $12. Rosie Simkins, saddling her first stakes winner at Emerald Downs, trains the winner for owner Doris Konecny of Enumclaw. Enumclaw Girl had to survive a stewards’ inquiry, but no action was taken against the winner. In fourth place entering the stretch, she rallied between No Constraints and Jasmine’s Melody, and the latter filly drifted out nearing the wire.